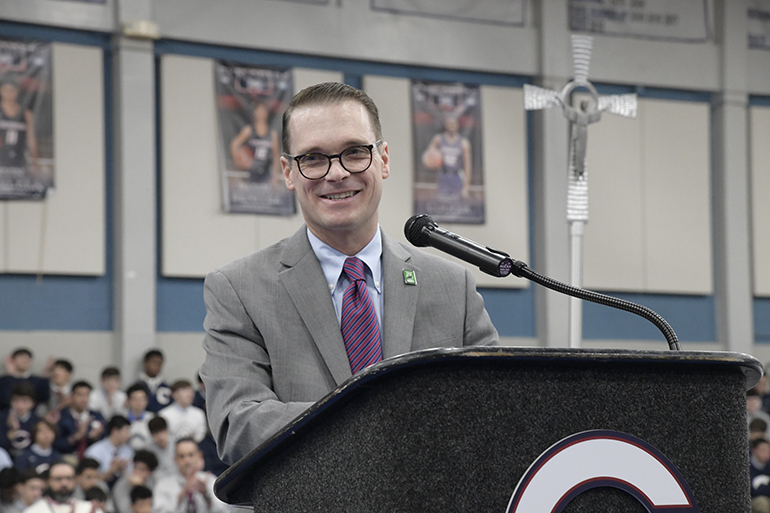 José Viana, Christopher Columbus High class of 1987, speaks to students about the impact a Catholic and Marist education had on his life, during a Mass at the school marking Catholic Schools Week, Jan. 31. He currently serves as assistant deputy secretary and director of the Office of English Language Acquisition for the U.S. Department of Education. MIAMI | In honor of Catholic Schools Week, Christopher Columbus High School celebrated a school-wide Mass Jan. 30 presided by alumnus Father Alejandro Rodriguez Artola, class of ’81, and pastor of St. Thomas the Apostle Church in Miami. Another alumni, José Viana, class of '87, also was present for the Mass. He currently serves as assistant deputy secretary and director of the Office of English Language Acquisition for the U.S. Department of Education. Both Viana and Father Rodriguez Artola spoke about the important role that the Catholic and Marist education they received at Columbus played in shaping them into the men they are today. The Columbus family prayed together for all vocations and displayed gratitude for the opportunity to attend Catholic school within the Archdiocese of Miami. 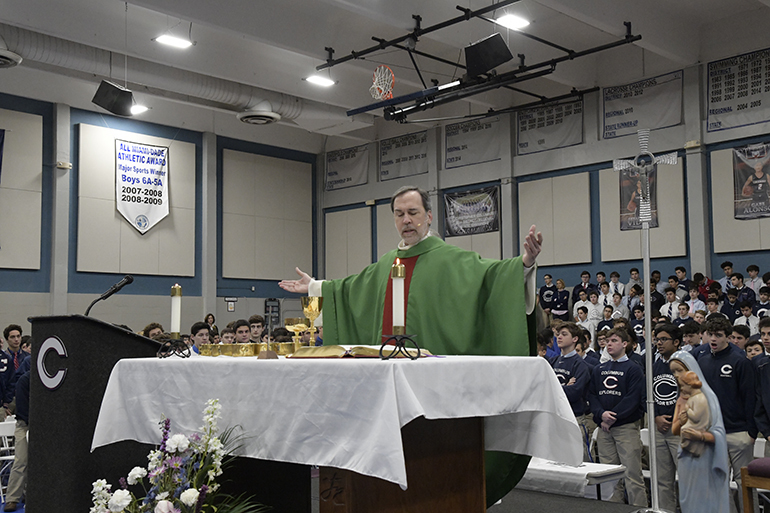 Father Alejandro Rodriguez Artola, pastor of St. Thomas the Apostle Church in Miami and a member of Christopher Columbus High School's class of 1981, celebrates Mass for Catholic Schools Week, Jan. 31, at his alma mater.